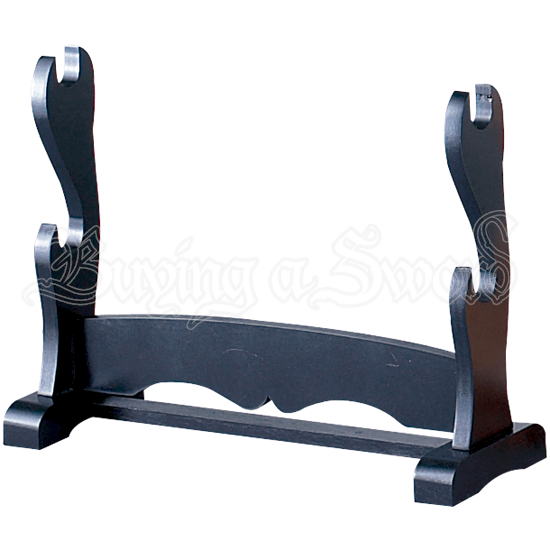 If you have got a pair of swords that you need to display, than you can get bet that this Double Tier Table Top Sword Stand will more than get the job done. It serves well to show off Japanese daisho, as well as countless other varieties of weapons. This stand is made entirely from hardwood that features a traditional black lacquered finish, giving it a look similar to the Japanese sword stands of old. That makes this stand perfect for showing off a daisho (a katana and wakizashi set), although that hardly limits this stand. 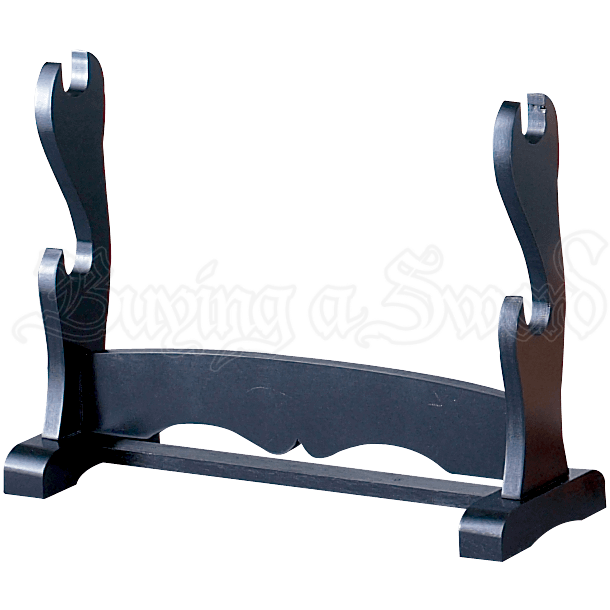 Its universal design and stable base makes this a handsome way to show off any style of blade, whether it has a cavalry saber, a medieval longsword, a renaissance rapier, or anything else! So if you want to put a few elements of your collection on display, either on a table or on the floor, than this Double Tier Table Top Sword Stand is just the way to go!